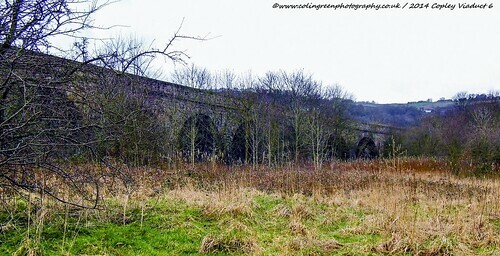 Colin Green Photography: Copley Viaduct, West Yorkshire. The 23 arch Copley Viaduct crossers the valley connecting Halifax with Sowerby Bridge and beyond by rail. 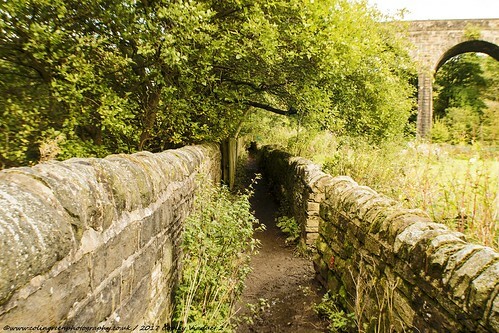 Although railways came to Calderdale in 1841 Halifax was not connected to the rail network until a single track branch line was built from Greetland to Shaw Syke in 1844. This made trains for Manchester indirect and in 1852 this was addressed by the completion of the Copley Viaduct. The viaduct carries the railway across the valley bottom including the River Calder, Calder & Hebble Navigation as well as the A6026 Wakefield Road. The viaduct was granted Grade II listed status on the 19 July 1988. The pictures have been taken at various times and locations around the viaduct over the last 4 years. There a total of 26 pictures available to view with 6 featured only on Clickasnap with an additional 20 available here and on Flickr. The following 3 links are from the Clickasnap exclusive pictures. Please take a moment to view them as this helps support my photography. There are more links further down the page. 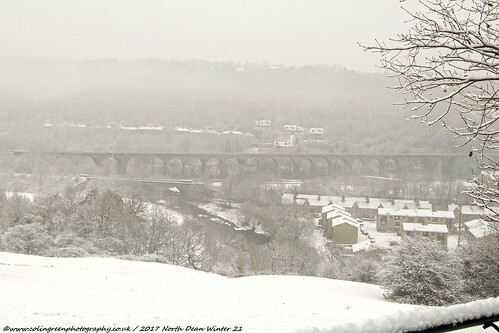 Taken on the 1st January 2016, looking along the viaduct with the River Calder behind me. The viaduct was partially covered with fog. 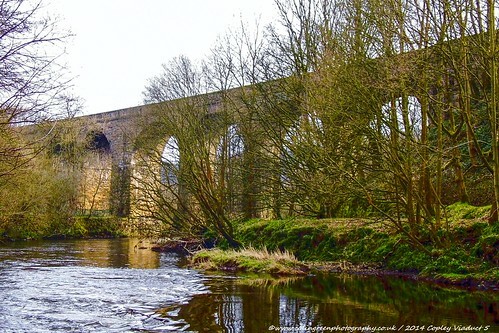 Taken in October 2017 it shows the Calder & Hebble underneath 1 of the arches of the viaduct. Taken in October 2016 looking up along the brickwork of the arch. This is a lack and White picture. Taken in October 2017, this shows a path running towards the viaduct between the River Calder and Copley Cricket Ground. 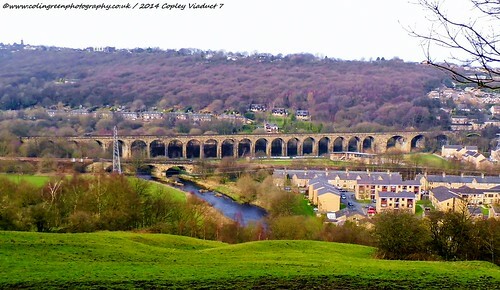 The Viaduct and River Calder pictured on the 8th March 2014. Taken in November 2016. I had to climb a steep embankment to take this. I would like to make it clear I had help, safety equipment, and at no stage did I enter within the area beyond the wall top you can see or anywhere to be considered dangerous. It is dangerous to enter within any railway areas and I would never encourage anyone to do this. The following 3 links are the remaining pictures from Clickasnap. Taken in February 2014 looking across the cricket pavilion towards the viaduct. Looking across the arches and woodland underneath taken from approx. half way up the railway embankment in November 2016. Taken in October 2017 with my back to the viaduct looking along the River Calder. I took this in February 2014. It looks along the viaduct in the direction of Norland with the Calder & Hebble canal behind me. Where the following short video show a train crossing the viaduct at approx. 3 minutes 30seconds in.